Foxconn Already Making iPhones in Brazil? Foxconn has already started producing iPhones 4 in Brazil, the Brazilian newspaper O Globo reports. While the rumor isn’t new and pictures have leaked over the last weeks, O Globo’s report comes with a wealth of details. According to Rio de Janeiro’s leading newspaper, Foxconn’s new plant in Jundiai (SP) has been manufacturing iPhones since the beginning of November – a topic on which Foxconn declined to comment. O Globo’s affirmations don’t stop here: the plant has 1,600 workers the Taiwanese manufacturer started hiring and training in August, it added. Work is organized in two shifts (morning and afternoon), each of them with capacities to produce 800 phones a day, O Globo heard. However, the 1,600 phones Foxconn has been producing daily aren’t being shipped yet, and will only hit the shelves by January 2012. Quoting unnamed sources inside Foxconn, O Globo reports this delay is linked to the fact that neither Apple nor Foxconn have a technical support network ready to attend a large number of Brazilian customers. O Globo’s article isn’t limited to the iPhone 4, and the newspaper also mentions other Apple devices, starting with the iPhone 4S. As we reported, Apple’s latest smartphone is launching in Brazil tonight, and if O Globo is to be believed, it will also being produced in the country very soon. According to its sources, Foxconn’s current production iPhone line can be adapted to this new device without major adjustments, and the plant will start making iPhones 4S in February. Hopes are high that it would contribute to lower the sky-high price tags of Apple devices in the country – as we reported, local operators have recently started selling the iPhone 4 8GB for US$1,000, although prices may go down with the iPhone 4S’ official launch, which is also expected to cost around US$1,000 – a price tag partially due to heavy taxes on imported electronics. It’s not just phones that could soon become less expensive, as O Globo also adds to speculations around the long-expected iPad to be made in Brazil. Foxconn will have to hire 3,000 additional employees for the iPad’s new production line it’s starting to build, it said. However, don’t expect it the tablet launch tomorrow in Brazil. While the Brazilian Science and Technology Minister had declared at one point that iPads would be available before Christmas, he has since then acknowledged that Foxconn didn’t have a set date to start manufacturing the tablets. 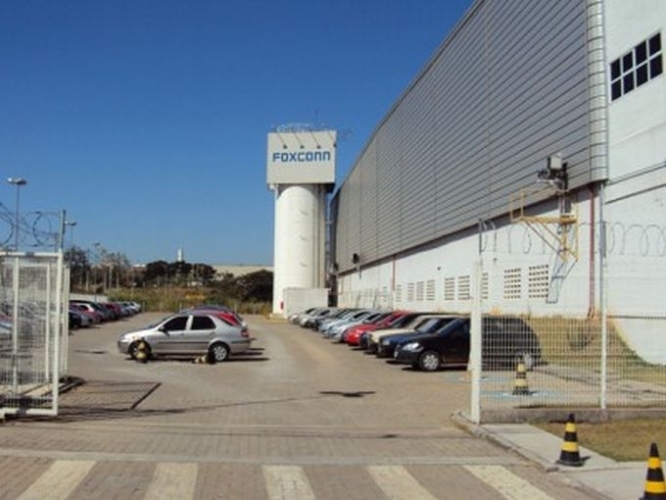 According to O Globo’s, this is due to the fact that Foxconn is still awaiting confirmation of the major tax breaks it has been negotiating with the local authorities. As a result, production won’t start until the end of Q1 next year, local Steelworkers’ Union leader Célio Guimarães said. With that in mind, it seems that iPads made in Brazil won’t be available in the country before March 2012.